Looking for tips on how to grow natural hair? You’ve come to the right place. At Viviscal, we are all about promoting healthy hair growth*, and we recognize that not all hair is the same! Natural black hair requires some extra special care to grow it to long lengths, but with a little know-how and patience, anyone can grow long natural hair. The key is to prevent breakage so that you can retain your lengths! Keep reading to get our natural hair growth tips. Heat tools aren’t the only danger for natural hair. Any time your hair brushes against a jacket, shirt, or even your shoulder, you risk fraying and breaking the ends. This is why protective styling is so important for growing natural hair! 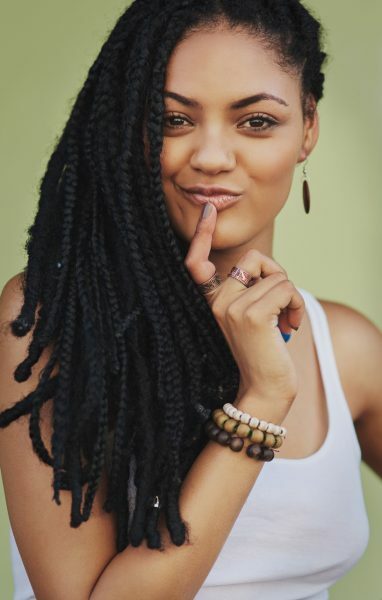 Wearing your hair in braids, twists, or updos can help to protect your ends so you can grow long natural hair. Even though we may care about our hair a lot, the body actually considers hair a non-essential. Thus, if you’re not eating a balanced diet, your body will reroute the nutrients you do eat to your vital organs and away from your hair follicles. The result? The hair that grows is thinner and has less strength. The ends are the driest part of our hair, and the most prone to damage and breakage. After all, the ends are the oldest parts of the hair on our head, and need extra moisture to keep from fraying! In between washes, keep ends hydrated with coconut oil to prevent breakage. Take a small amount of coconut oil, warm it up between your palms, and then apply to the bottom inch of your hair. Heat dries out all hair types, but it’s particularly damaging for dry natural hair. Dry hair equals brittle hair, so the less you can style hair with heat tools, the better. Instead, try heat-free styling techniques like sleeping with your hair in curlers or twists. This will allow you to achieve the look of heat styled hair without the damaging heat! Plus, you’ll save time in the morning and who doesn’t love that? 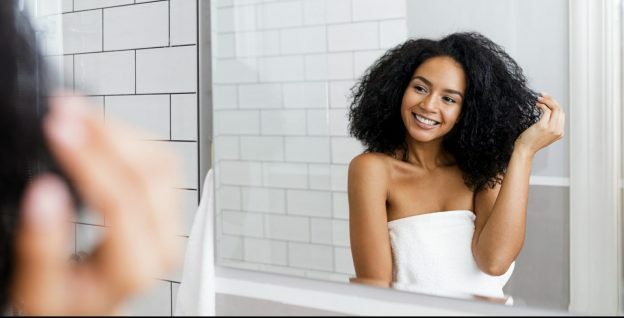 Natural hair tends to be drier and so it doesn’t need to be washed with shampoo as much as other hair types with less curl or that are more prone to greasiness. However, that doesn’t mean you should skip the conditioner. In fact, we recommend co-washing, which just means washing hair with conditioner instead of shampoo. To co-wash, just wet hair in the shower and apply a liberal amount of moisturizing conditioner like Viviscal Gorgeous Growth Densifying Conditioner. Gently scrub and massage your scalp with the conditioner. Co-washing will help to remove dirt and debris from hair without stripping it of its natural oils. Daily scalp massage is another easy way to grow natural hair, plus it just feels great! Scalp massages increase circulation, which helps bring the healthy nutrients you’re consuming to the hair follicles so they can work their magic, growing stronger, healthier hair. 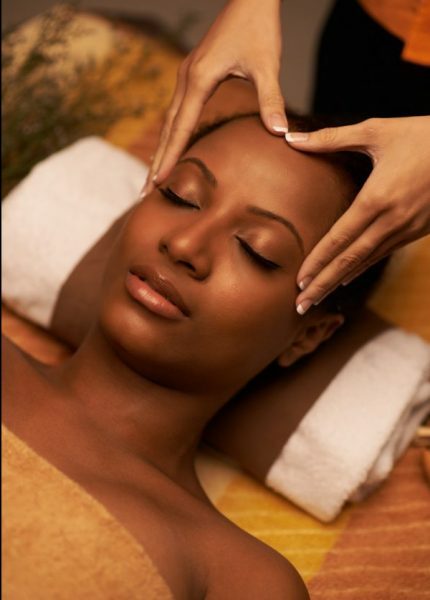 Gently massage your scalp with your fingertips for 10 minutes every day to invigorate and boost circulation. If your scalp feels dry, use a little bit of coconut oil to add extra moisture. Do you have any tips for growing natural hair? Let us know in the comments!